E-commerce in France has managed to increase by 13.4% last year, Ecommerce News reports. The online retail industry of France was worth 92.6 billion euros at the end of last year. These figures were shared by French e-commerce association Fevad. It based its study on information from online retailers and the aggregate amount of transactions carried out by the biggest payment service providers in the country. Last year, a total of 92.6 billion euros were spent online in France. According to Fevad, the e-commerce momentum remained in 2018, with a 13.4% growth, although there was a decline in growth in December due to the infamous Yellow Vests protests. In the last month of last year, e-commerce in France grew only 8%, while it increased by 16% in October and 14% in November. The impact of this slowdown on the annual e-commerce turnover is estimated at about 600 million euros. The average order value was around 60 euros last year, which is a decline of 5 euros compared to the situation one year before. This decline is going on since 2012, and reflects the trend of consumers buying everyday products online more and more. It could also be explained by the fact the frequency of purchase has increased. Last year, more than 1.5 billion orders were registered, which corresponds to a 20.7% increase compared to the situation in 2017. Last year, 21,800 new e-commerce websites were created. This is an increase of 12.6% compared to the year before. Currently, there are nearly 200,000 active merchant websites in France. 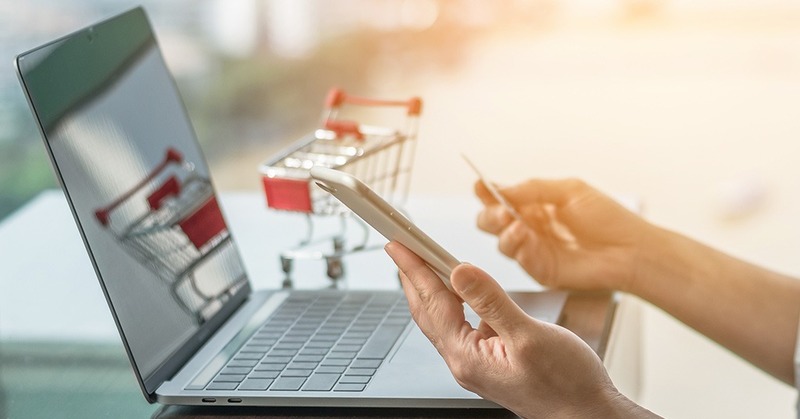 It’s predicted that e-commerce in France will exceed the 100 billion euros mark in 2019.